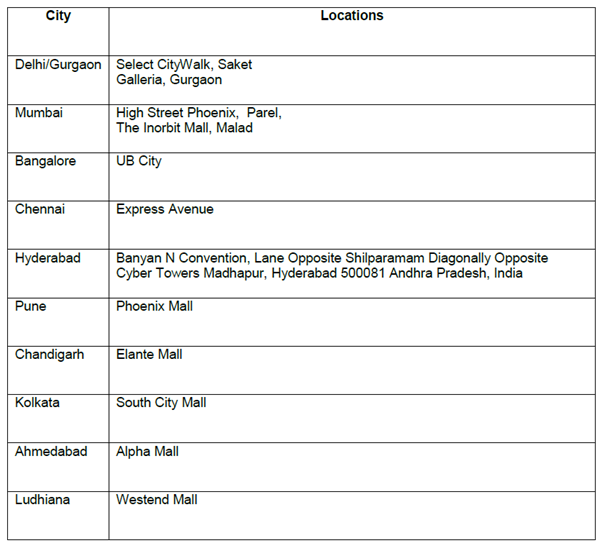 Apple will launch its iPhone 5s and iPhone 5c in India today at various locations in India today. The iPhone will be available for purchase today onwards at these selected retail outlets and if you use your Citibank Credit card to purchase iPhone 5s and iPhone 5c, you can get a 10 percent cash back offer !! This implies for the iPhone 5c priced at Rs. 41,900. You will be able to get Rs. 4,190 as cashback. On a single card you can get a discount of maximum 12,000 INR for purchase of multiple phones. This exclusive offer is valid only for today. The Cashback amount will be credited to your Credit card account only after 1st November and before 31st December. For the complete rules and regulations related to this offer you can visit the Citibank official Terms and Condition page. iPhone 5c is the latest Plastic iPhone from Apple and comes with the power A6 chipset and 4 inch Retina display. You can read the complete details about hardware specifications on our iPhone 5c Quick Review . The iPhone 5s is the most advanced performance beast from Apple which comes with 64 bit A7 chipset along with Retina display and a finger print scanner. You can read our iPhone 5s Quick Review for detailed hardware specification. This offer from Citibank is valid today and can be availed at the locations mentioned below. The iPhone 5c 16 GB is priced at 41,900 INR and the 32 GB version is priced at 53,500 INR. The iPhone 5s 16 GB is priced at 53,500 INR and you will have to pay 9,000 INR extra as you move up the ladder towards 32 GB and 64 GB Variants.